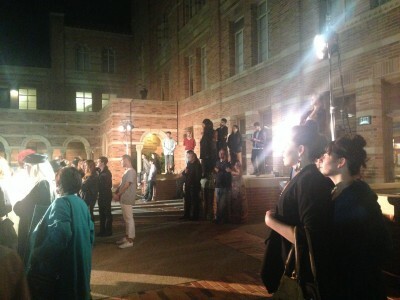 We are in the final throes of preparation for Desdemona, in its Los Angeles premiere Thursday night. 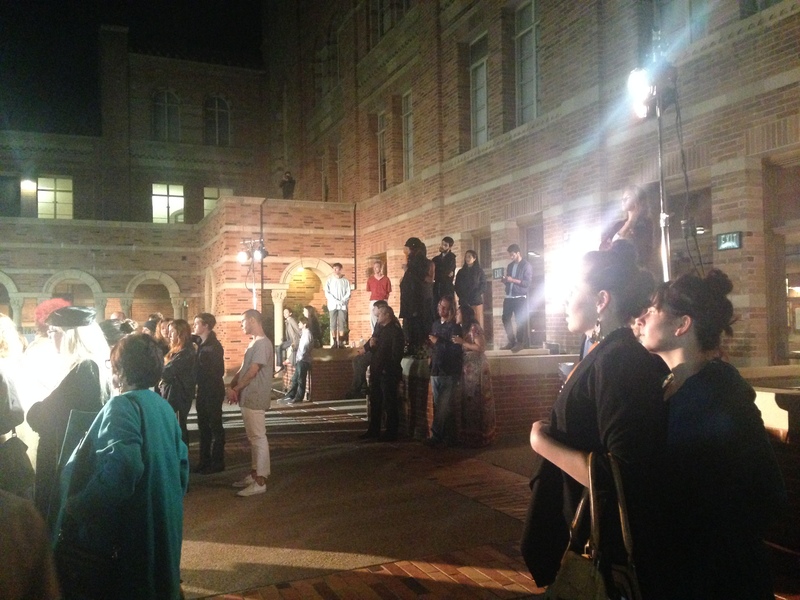 Thus far, we’ve talked and heard a lot about the creators of this exceptional work of theater, with Toni Morrison receiving the UCLA Medal just yesterday, and Rokia Traore returning to CAP UCLA after a triumphant concert experience last spring. It’s time to talk Tina Benko. As the company has come back together over the last few weeks, remounting this work for our stage, we have been overwhelmed by the absolute greatness of this gifted actress. Morrison’s language is as gently evocative and eloquent as you might assume, Traoré’s powerful ,musical presence and voice provides emotional tethering and texture, but Benko’s performance is what allows us to traverse time and space, to defy the laws of mortality and to experience the richness that is inherent in this quiet, but unmistakably potent piece of theater. Benko stars as Desdemona, alongside Traoré as Barbary, but there are other characters in this play, other voices, all of whom are embodied and enlivened and shared with us by Tina Benko alone. It is a feat of performance that not just any actor could bear. In Benko, as Desdemona, worlds collide; Morrison’s words find heightened consanguinity with Traore’s lyrics. Inside this remarkable artist the centuries of ill-fated love between Shakespeare’s tormented Othello and Desdemona alchemize into a new reality, a new truth. I feel confident in promising that her performance will be a gift we will carry with us long after the curtain has closed. Don’t miss it. There are a few tickets still available for Friday, Saturday and Sunday performances. Join us, and help us applaud Tina Benko. 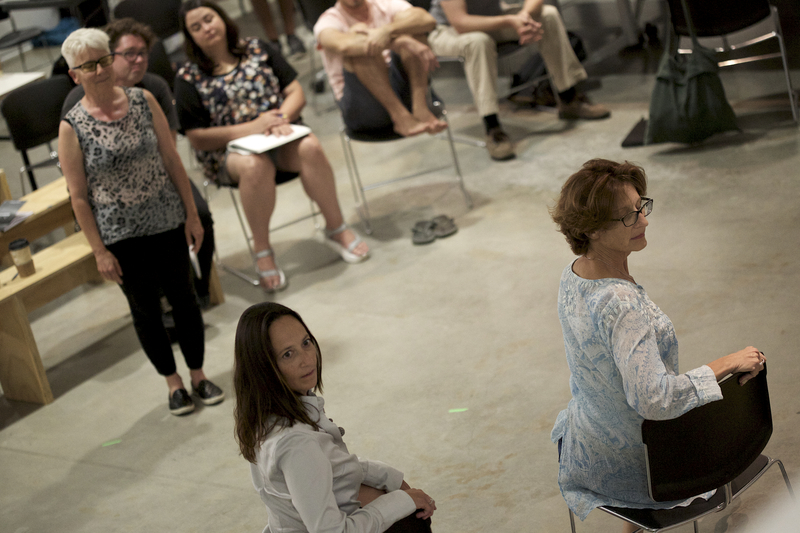 Ann Carlson, our intrepid artist in residence and the creator of The Symphonic Body UCLA, joined the participants of the Fifth Creative Coding Labs on Wednesday to talk about her aesthetic, share insight into her approach to movement and explore what she calls “the movement of the movement.” Ann is the architect of a unique dance performance under construction that will be performed by workers from this campus on Nov. 21 in Royce Hall. (Check out videos of the progress of this piece here). “The movement of the movement is taking a functional gesture of utility and moving it to something more abstract, metaphorical or ripe with symbolism,” she said. Carlson talked about triggers in her conceptual development as an artist (hearkening back to moments that snapped her attention away from her childhood traditional ballet training). She talked about dismantling conceptions that surround what a dancer should look like and false constructs of what dance language should be comprised of. She talked about movement as both a memory trigger and memory preserver. CCL participants got a minimalist sneak peek at The Symphonic Body, with two performers rehearsing segments of the ever-evolving performance work in front of a rapt audience who seemed fascinated not only by the intricate and unique social structure of the project, but by the potential for emotion and self discovery that can be triggered by having an artist observe a person’s everyday movement and physical gesture and then collaborate with that person to manifest a highly personalized and idiosyncratic movement vocabulary based on it. This is what The Symphonic Body is all about. 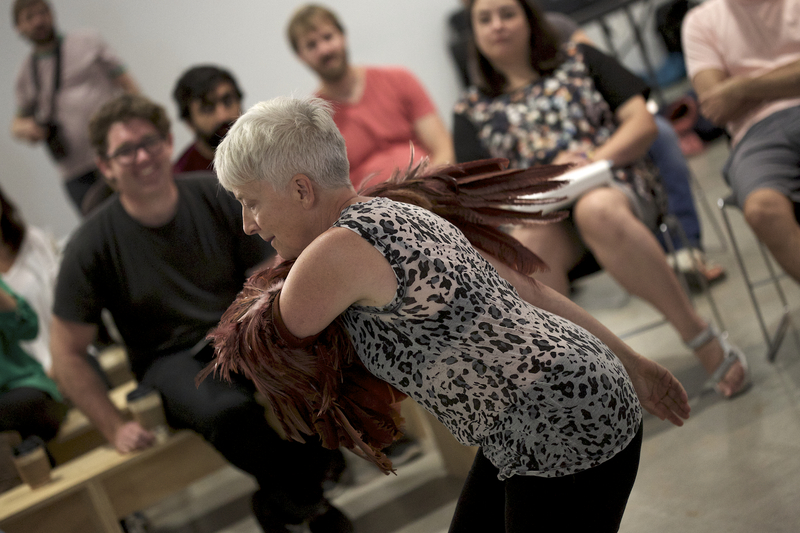 It’s interesting to watch Ann’s own gestures as well as they rehearse and create, to witness the gestural language she has developed that will allow her conduct the movement and score the physical symphony. Her projects and presence seemed to energize the room and play on themes that had already started creeping in to this experimental space. We’ve been working on this project with Ann for the better part of a year and have been enmeshed in the very UCLA-specific nature of this work, so it was also quite fun to see shades of Symphonic Body in a piece Ann created almost 20 years ago, titled Sloss, Kerr, Rosenberg & Moore. For this, she shadowed four young lawyers in their daily work lives, then created a dance piece based on their movements, rooting their feet to the floor. And the lawyers are still performing it. Here’s a 2007 interpretation of the piece. “You can dance doing anything,” Ann said, quoting a lecture from Murray Louis that had inspired her as a child. You can even dance while being a lawyer…. We are an artist-centric organization. There are a couple of things happening this week and in the near future that I think help to shed light on just what that phrase means, with two polar-opposite artist-centric commitments from the Center serving as great examples of the phrase. First, starting today, is the Fifth Choreographic Coding Lab from Motion Bank, a project that grew out of work with the William Forsythe Company four years ago. 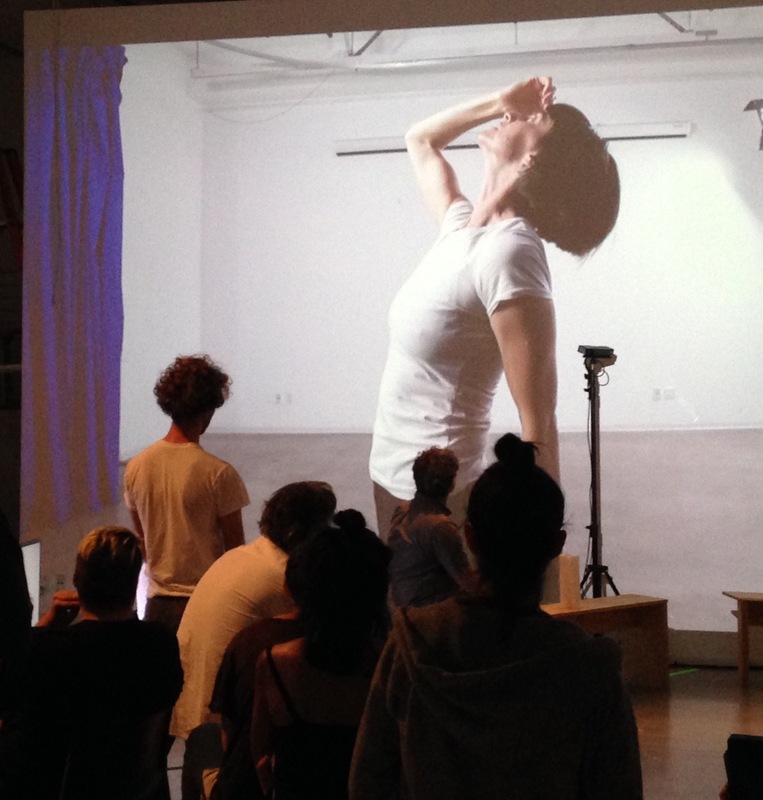 It is a gathering of disparate artists/creators, some dancers, some choreographers, some video and graphic designers, some coders, some who dabble in multiples of these things. 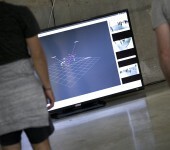 Every day this week they will come together in the Experimental Digital Arts Space on the first floor of the Eli and Edythe Broad Arts Center, UCLA. This gathering represents one extreme end of the artist-centric continuum. These individuals are here simply to collaborate, to explore, to dream, to understand and to inspire each other. There is no projected outcome. There is no performance pressure. Something tangible might come of it, or even multiple things—some new technology or piece of visual art or movement vocabulary. Or not. The point is not the end result, the point is creating and harboring a space where artistically inclined individuals can, without restriction or pressure, endeavor to build and traverse rabbit holes of possibility. We had a casual meet-and-greet with the participants last night. 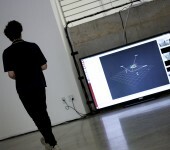 There are a few former UCLA students involved, a few students from other design schools in the city, two coders and video artists from Seattle. Everyone I talked to admitted they were excitedly entering the project with few preconceived notions or thoughts on what will transpire. All are curious and open to whatever comes. Bringing Motion Bank to campus has been a work in progress over the course of a year. And as Kristy Edmunds, artistic and executive director of CAP UCLA said last night, the Labs actually do have the potential to have a lasting impact on an art form—dance. 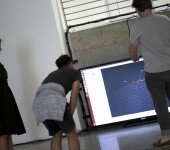 I spoke with Scott DelaHunta, one of the Motion Bank founders who said this will likely be the last Coding Lab for a while as the Motion Bank researchers step back to assess all they have learned and derived from this and previous gatherings. So it is a special thing to be involved in. 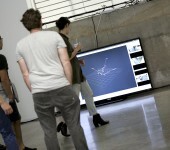 It also marks our first official collaboration with the incredible Design Media Arts program at UCLA. 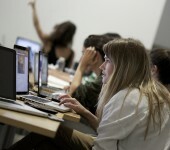 We have been eager for some time to work with students and faculty in this unique program and Design Media Arts professor Casey Reas is one of the leaders of the Coding Lab. The Labs have an open door policy. Members of the public can drop in throughout the week from 10 am to 5 pm. 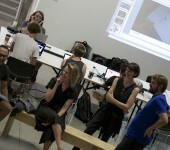 Days are loosely structured for maximum creativity but begin with a sort of roundtable discussion with all participants sharing a thought, idea or possible working project. But who knows? On Saturday all will gather at 4 p.m. to share some final thoughts, showcase any presentations or new material, and in general just celebrate the art of making. 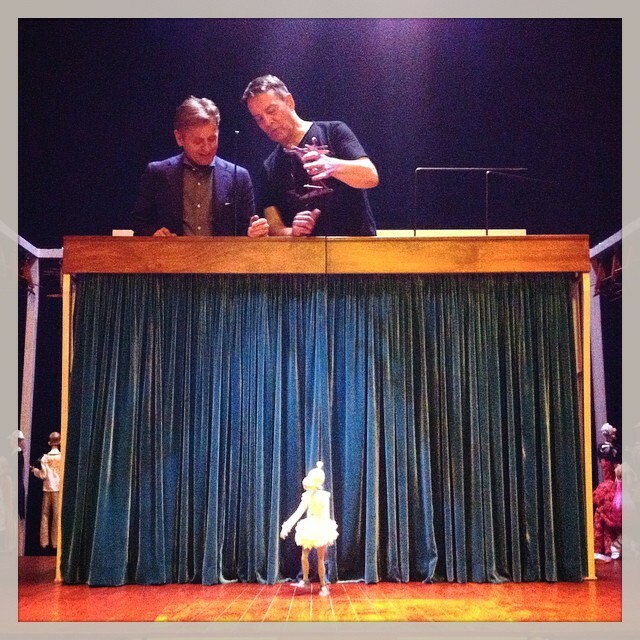 On the other end of the artist-centric spectrum is our ongoing commitment to a master artist and solo performer—Canadian puppeteer and theater maker Ronnie Burkett. I vividly recall, in some of our earliest meetings with Kristy after taking her post here as our leader in 2011, she expressed a desire to greatly increase the visibility of Ronnie in the U.S. 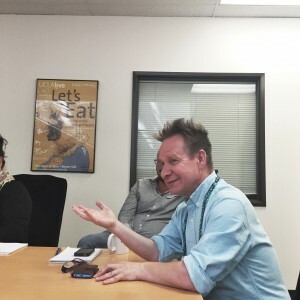 He is a beloved and well known creator and performer in his home country and other parts of the world, especially Australia, where Kristy spent four years as curator/director of the Melbourne International Arts Festival. But, he is (was) less known here in the states. In the 2013-2014 season we gave Ronnie his L.A. debut, with his masterfully dark narrative work Penny Plain. His performances here were met with enthusiastic response from the local theater community, comprised of arts lovers many of whom had never experienced his work, and the local puppetry community, which, we discovered quickly was already rife with avid Ronnie Burkett fans. The following season, we were all very excited to have Ronnie back on the program, this time for a longer run and with a wildly different work of theater–the raucous and tender variety show titled The Daisy Theatre, created and again performed by a solo Burkett, (with a little help from a few audience members). It is equal parts witty and wicked, naughty and nostalgic and it could only have sprung from Burkett’s mind. The Center is a co-commissioner of The Daisy Theatre and as such we have an ongoing commitment to its success. 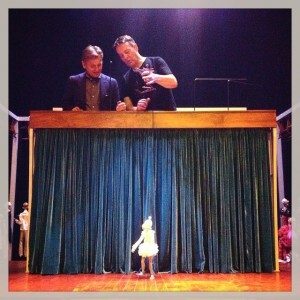 The same week The Daisy Theater opened at the Actor’s Gang space in Culver City, artists Willem Dafoe and Mikhail Baryshnikov were in rehearsal for another theater work The Old Woman, which would take place here in Royce Hall over the weekend, concurrent with The Daisy Theatre’s nearby engagement. 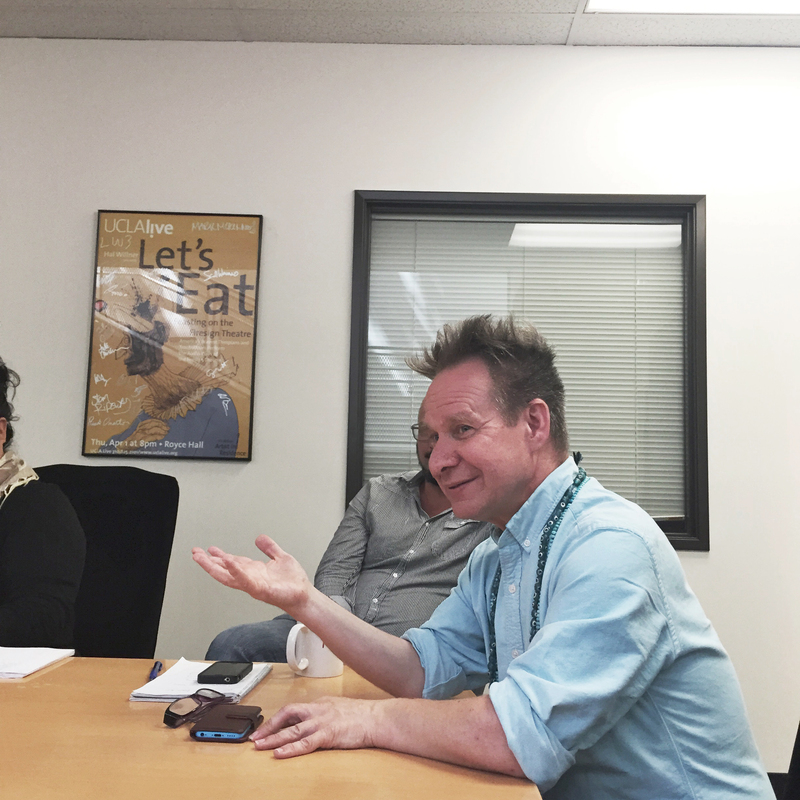 We took this as an opportunity to introduce Mikhail Baryshnikov to Burkett’s work and to the artist himself. Kristy Edmunds snapped this Instagram shot of Ronnie showing the performing-arts legend how to move one of the show’s most important and poignant character’s–Schnitzel. We are very proud this season to collaborate with the Baryshnikov Arts Center in New York City as they become home to the New York debut of The Daisy Theatre. Performances open Sept. 30 and run through October 10. Kristy Edmunds will be on hand for opening night to cheer on one of our favorite artists. If you have friends or family in the city, tell them to head to BAC and catch this show. They won’t regret it. BAC is the realization of a long-held vision by artistic director Mikhail Baryshnikov, who sought to build an arts center in New York City that would serve as a gathering place for artists from all disciplines. BAC’s opening in 2005 heralded the launch of this mission, establishing a thriving creative space for artists from around the world. This is an important moment in Ronnie’s life as a performer. We’re thrilled and more than a little envious of the New York audiences who will have so many chances to experience The Daisy Theatre. So, from the experimental confines of a campus collective to the high-concept solo masterwork performed against the glittering lights of the city that never sleeps–we take a moment to revel in our artist-centric nature. Well, maybe not exactly asleep, but while experiencing his theater work Desdemona, if you find yourself slipping into a sort of meditative trance, or feel yourself straddling other unearthly worlds and universes…you’re doing it right. One of the things Peter very eloquently conveyed to us was the powerful quietness and absolutely intimate nature of this piece of theater. The physical staging is purposely simple, designed to evoke the feeling of traditional African mourning altars, he said. We enter into this benevolent graveyard to be greeted by the voices of women—songs from Rokia Traoré that defy translation sung softly, eloquent language from Toni Morrison spoken softly and with deep intent. The technical sound requirements require precision instruments and exacting attention to detail so that every gesture, every sound, every movement from the stage may nurturingly welcome us deeper and deeper into a sense of otherworldliness, Sellars said. The scope and shape of the play itself evolved organically over the course of its creation, Sellars said. There was no initial vision or design that the performers and writers were trying to match. Morrison essentially plucked one line out of the play, one line spoken quietly by Desdemona to the woman her husband was having an affair with, and amplified that one line into an otherworldly experience for us all, one that will change the way we think about the character of Othello, the historically revered man who invented him and the racial and social themes that continue to emanate through our society. “In this age of big spectacle, what we are doing here is examining how valuable and rich is a single human being, and how many worlds reside within each of us,” Sellars said. It is ephemerality laced with ephemerality packaged in ephemerality—and these are the trappings of transcendence. We have a brief shining moment with these words and these exceptional performers. Just four performances in Freud Playhouse, a 500-seat theater. After that, the cast and crew travel to Australia for two festivals and it is not likely the play will be mounted again anytime soon. Traoré is a rising force in global music and will be focusing on her recording career for the foreseeable future. She is so integral to the casting, Sellars says she doesn’t see it ever being performed without her. Be here with us. Let’s take this journey together. Choose Your Own Arts Adventure! You are in control of your own season experience! Our sincere thanks go out to everyone who has already subscribed to our upcoming season. We’re currently working on seating order for subscribers and your tickets will be in the mail soon! We are looking forward to a packed calendar of inspiring, provocative and exciting performers from around the world, and it is always great to know we have a cadre of committed arts lovers readying themselves for the season along with us. Subscriptions to our pre-curated series of Theater, Spoken Word, Jazz, Roots & World, Global Music, Dance, and our special four-night package celebrating Belgian contemporary company Rosas ended last week. But, you can still subscribe to the 2015-2016 season with a self-programmed Create-Your-Own series of five or more events. In fact, you can order a Create-Your-Own series at any point during the season, gathering any five or more upcoming performances. This choose-your-own-arts-adventure option has by far become our most-popular subscription method over the last several years. It makes sense. As a social media savvy society, we are increasingly able to curate our own experiences with information, pop culture and entertainment. It seems natural that arts lovers would gravitate toward desiring a series of events that will specifically enhance their individual interests. And our programming is eclectic enough that we know you are also likely to be exploring and engaging with new artists and experiences as you build those personalized series. There are people who might ask– why subscribe to CAP UCLA or to any performing arts program at all? Why not just buy tickets as the shows approach? We know subscribing to a series in advance definitely entails a certain amount of pre-planning on your personal calendar, self-education/research into artists as well as an initial financial investment—all of which might seem daunting. But, if you’ve never purchased a subscription to a performing arts program before, consider some of the benefits. For us, and likely for many other organizations, the only discounts on ticket prices happen during the subscription window. For example, our series subscribers (anyone who purchases our pre-curated selections) save 15% off list prices. For our Create-Your-Own option, you save 10%. This adds up to a great deal per ticket, one you won’t get otherwise. 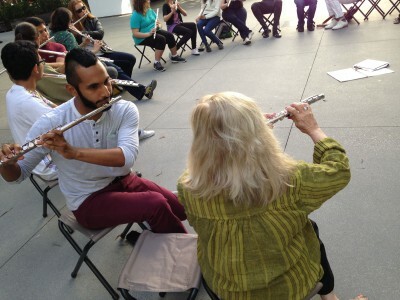 And, ticket fees, which no one loves, but are inevitable and necessary, are lower on a subscription package because you pay one fee for five performances, rather than doling out fees on five or more different purchases throughout the year. At CAP UCLA subscribing is also your best way to get the best seats in the house. 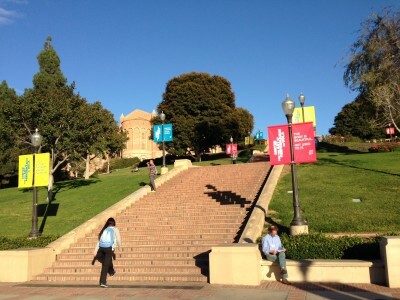 Our venues are not large–Royce Hall is an 1,800 seat theater, Freud Playouse just 500 seats. Prime seats go to first to our returning subscribers who are also philanthropic members of CAP UCLA, then to our repeat series subscribers. By the time individual tickets go on sale every year, there is very limited access to seats front-and-center in any of our venues. So if you’re the kind who loves to see the sweat on a dancer’s brow, or catch every nuance of an actor’s facial expression, or see fingers fly across a keyboard or guitar string, subscribing is your best bet to get that experience. For us, subscribers are the foundation of success for any given performance. We are proud of the artists we present and we bring them to Los Angeles because we truly believe that there are people here who should witness them. The subscribers who sign on now to be here for a performance up to a year from now, we know are going to bring the kind of energy to this place that will lift us all up. For those of you who subscribe year after year, we see you. We feel you and we thank you. For those of you who are new subscribers this year, we can’t wait to see what you bring to the program. And for those of you who pick up tickets as the season progresses, we are so appreciative of the support and energy you add to the whole process as the curtain call draws near. Individual tickets go on sale June 26 at full price. If you see several things you like on our upcoming season, consider taking a chance and Create-Your-Own series now or at any moment before a performance begins. Regardless of how you get here though, know that we’re extremely happy when you arrive. Here’s a peek into my arts-addled mind. This is the series I would create if I wasn’t essentially already subscribed to every single performance. Miranda July: New Society–-Because I like earnestly rendered awkwardness and I like community togetherness and this “social experiment” is poised to provide both. Kid Koala’s Nufonia Must Fall–While I am an electronic music lover, I’m not super familiar with his DJ work, but I find this combination of electronic sounds, live string instruments and graphics very intriguing. 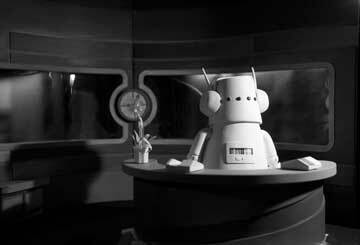 Plus I have a huge soft spot for sweet-looking animated robots. Taylor Mac’s 24-Decade History of Popular Music: The 20th Century Abridged.–Because I also have a huge soft spot for men in drag. (Avid re-watcher of Hedwig and the Angry Inch and Rocky Horror Picture Show right here). I caught Taylor in a performance at the Hammer earlier this year and not only is he incredibly glam, but surprisingly tender and with truly legit vocal chops. Can’t wait to see him bedazzle Royce Hall. Akram Khan and Israel Galvan: Torobaka–-I fell in love with Akram Khan’s work when we presented Vertical Road a couple of years ago. It was the same year he created this beautiful piece for the London Olympics opening ceremony, which the U.S. cut out of its broadcast in favor of a Ryan Seacrest interview. I’ve watched this segment many times since then and am looking very much forward to seeing Khan perform in what seems like it will be a very powerful physical dialogue between two dancers and two forms. An Evening with Anoushka Shankar–I love the sitar and had many chances living in L.A. to see her glorious father perform live, none of which I took. I am remedying that mistake with the next generation. It’s been a whirlwind around here lately, between preparing for the launch of our 2015-2016 season (subscriptions are officially on sale!) and the final performances of our 2014-2015 season, which included several epic events such as last weekend’s John Zorn Marathon and our April 25 presentation of Matthew Barney’s River of Fundament, not to mention a sold-out Gilberto Gil concert and a series of incredibly touching theater performances from Jean-Michele Richaud of Leonard Nimoy’s Vincent. That flurry of activity is dying down and we’ll take a much-needed deep breath over the next few months as we gear up for 2015-2016. There is one whirlwind around here however, that never quite stops—Kristy Edmunds, who is constantly on the go working with artists on upcoming projects, participating in arts-advocacy programs, speaking at conferences and events, teaching classes, working with local and national philanthropists and groups to make a case for increased giving to the arts and so much more. Tonight, our season wraps up with David Sedaris and tomorrow, Kristy is in Portland, a place that represents an important marker on her path as an arts curator. Twenty years ago this year, Kristy founded the Portland Institute of Contemporary Art (PICA), and for the first ten of those years led the institution, also creating the lauded Time Based Art festival, a convergence of contemporary performance and visual art that annually takes over theaters and unexpected public spaces throughout Portland, activating the city with art and energy. Today, a special exhibition opens at the Elizabeth Leach Gallery in Portland, titled PICA: Celebrating 20 Years, Reflecting on the First Decade. The exhibition celebrates Kristy’s dynamic vision as the founder and inaugural curator of PICA and showcases 21 artists selected from the impressive roster of artists who exhibited, performed or were in residency at PICA during the first decade. As Kristy has said, the programming involved both tremendous risk taking and a great deal of trust. Tomorrow, Kristy will be joined by two of the artists from that exhibition, Kristan Kennedy (currently Visual Art Curator at PICA) and Topher Sinkinson for a public conversation about the first decade of PICA. We’ll post video of it when we have it. Later this month, PICA will ring in its anniversary by reviving its gala, the TaDaDa Ball. This year Kristy has also been serving as is the Scholar in Residence for the Pew Center for Art & Heritage in Philadelphia and has traveled there often to consult with the organization and local artists. Check out this recent video of her time there. 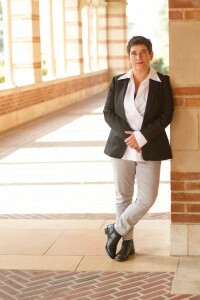 And stay tuned for more Kristy Edmunds and CAP UCLA activities. Cheers! 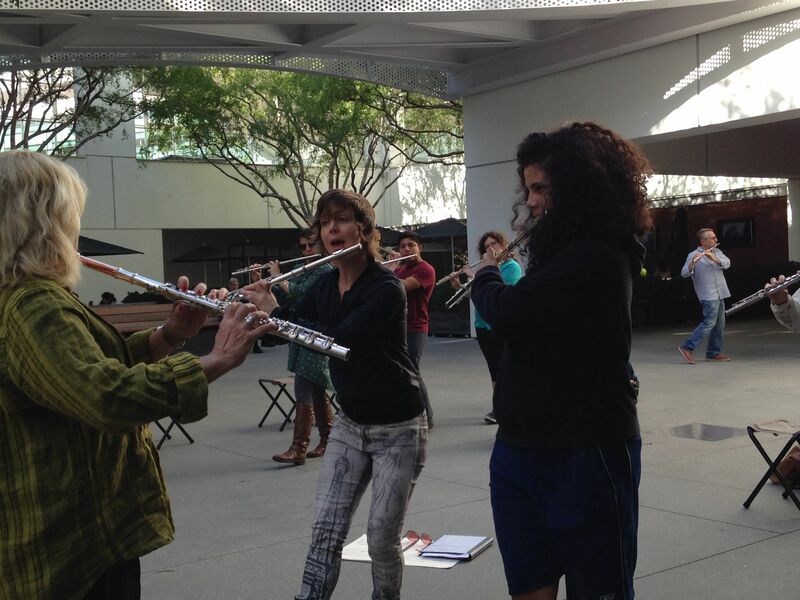 We began rehearsals this week with flutist extraordinaire Claire Chase to prepare for the West Coast premiere of Cerchio Tagliato dei Suoni (Cutting the Circle of Sounds). This is a rarely performed work for 104 flutes, four soloists situated at the four corners of the performance space and 100 migrating performers who continually move throughout the space, cutting into the circle of sound created by the soloists. We gathered at the Hammer Museum Wednesday and Thursday night for public rehearsals where we were introduced to several very interesting breathing techniques that make this instrument play a very different role than one would usually expect from it. It was fascinating and kind of physically dizzying actually. As Claire pointed out several times, we were doing breathwork tantamount to several yoga classes. 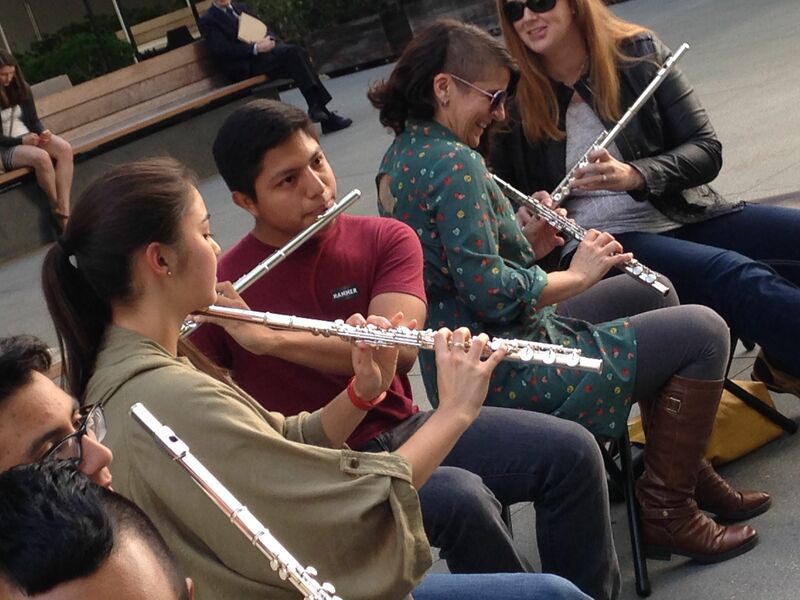 We all brought our own relationship to the flute, to performance and to music in general and it is a piece that creates space for that individuality to shine. Tonight we move over to Schoenberg Hall and we’ll explore how to activate that space in this very purposeful manner. 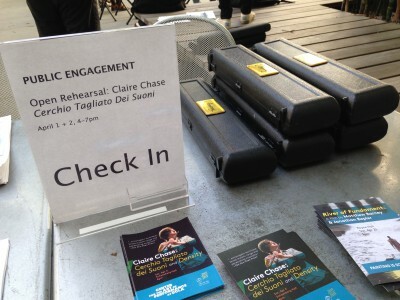 Check out images from our rehearsals below and read Claire’s note for the program. 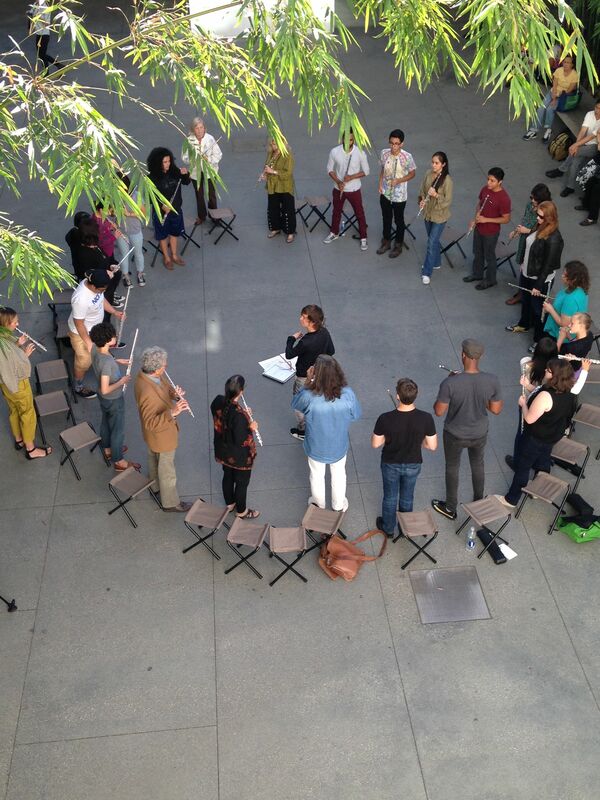 We hope you’ll join us and become part of this circle of sound and breath we are creating. 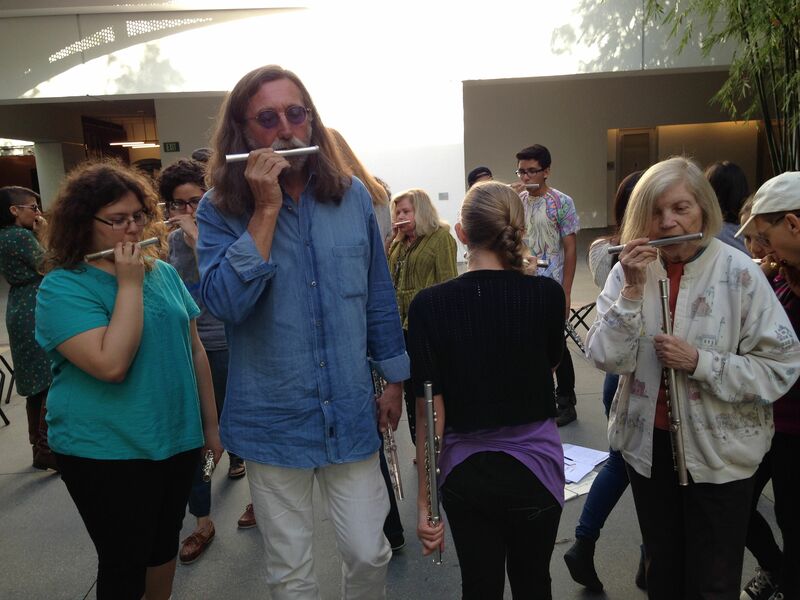 I have always been fascinated by the emotional impact of a single, unpitched exhalation into the flute, a sound that, as we discovered during our thrilling public workshops at the Hammer Museum this week in which both flutists and non-flutists participated, anyone can make with exhilarating individuality, purpose and nuance. There is a kind of irrepressible poetry to this most quotidian of labors: the simple gesture of breathing in and out, trying precisely not to make a tone on the most lyrical of musical instruments. As I found myself engrossed in the sounds that this remarkable group of people, the youngest of them ten and the oldest in his seventies, were huffing and heaving and woooof-ing into these tiny metal tubes Wednesday night, I was reminded of Rumi’s wise words on flute-playing from nearly 800 years ago: We have fallen into the place/where everything is music. Salvatore Sciarrino’s sonic explorations of the flutist’s bow arm – our breath — have metabolized into slow-moving soundscapes, operas and immersive musical experiences that defy categorization. There are few composers since the 18th century who have done more to expand the expressive capacity of the flute than Sciarrino, whose compositional influences range from Perotin to Punk Rock. Cutting the Circle of Sound, which takes its inspiration from Frank Lloyd Wright’s iconic spiraling architecture, is one of the composer’s most intrepid investigations into a few simple, barely audible sounds re-imagined en masse. 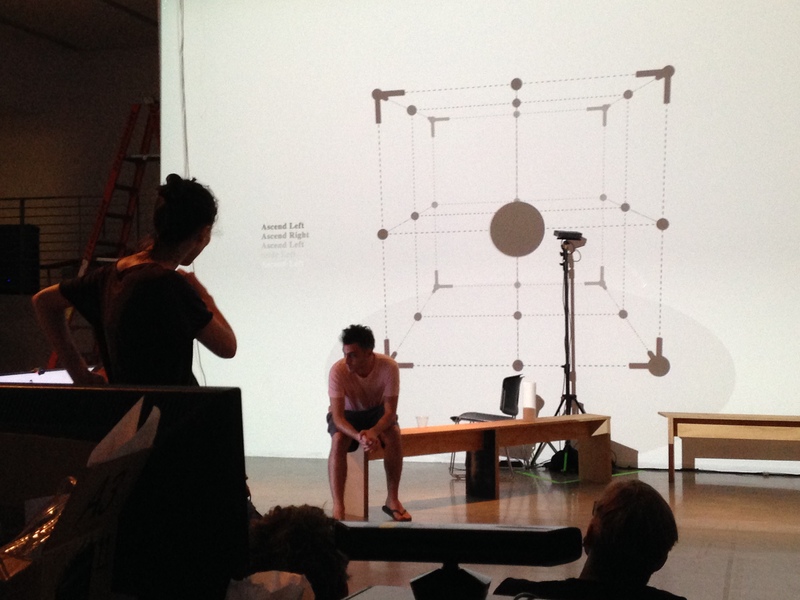 The hour-long piece has only been performed a handful of times, and it has never been documented as a complete performance, so our work this week has been equal parts inventing and inheriting a nascent oral tradition. 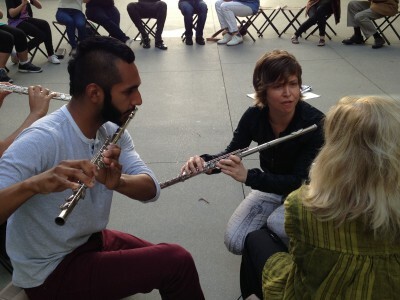 I have been in constant contact via Skype and e-mail with Luisa Sello, the Italian flutist who premiered the work under Sciarrino’s supervision, and members of our dedicated migrating flute force have been online with one another, communicating between Los Angeles, San Diego, Santa Barbara and Brooklyn, sharing instructional videos, impressions, musings and ideas on breathing new life into humankind’s oldest musical instrument. I am grateful to The Center for the Art of Performance at UCLA for taking the leap to present the West Coast Premiere this afternoon; to the brilliant sound engineer and instrument-builder Levy Lorenzo whose idea it was to design LED lights that illuminate the migrating flutes; to Erin, Christine and Michael for their tireless work on the devilishly difficult solo parts; and most of all to my fellow fearless, migrating, metamorphosing flutists. 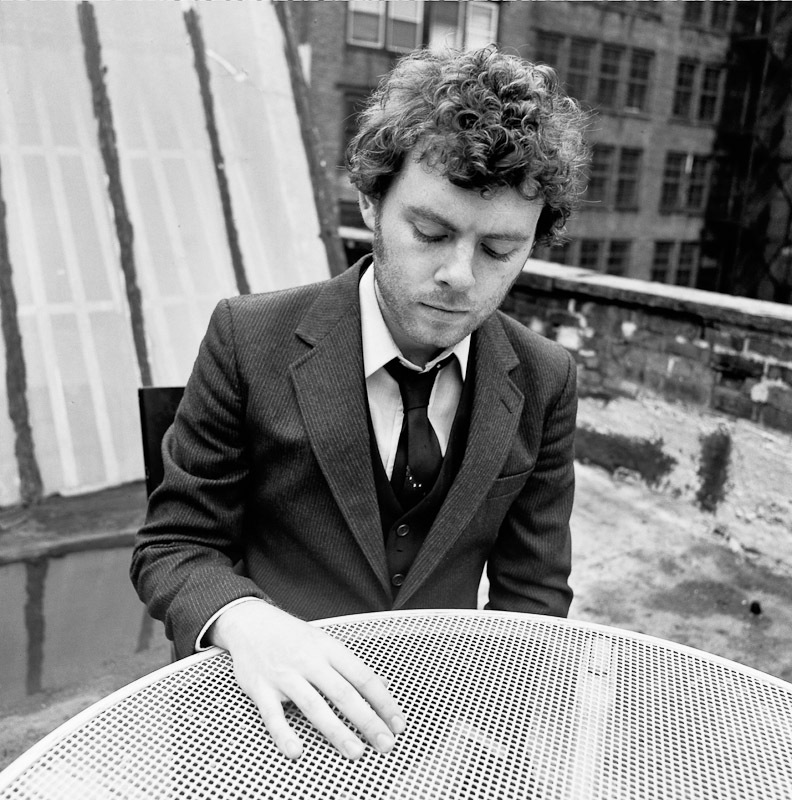 As Gabriel Kahane prepares to bring his sonic treatise The Ambassador home to Los Angeles, he shared some thoughts on the city that inspired an album, a theatrical stage show, and a state of mind. If you turn onto Vernon Avenue just east of Lincoln Road, you’ll find neat rows of modest bungalows which once announced themselves cheerfully with paint jobs in vivid reds and greens and blues, but which after decades of neglect and exposure to sun have been left mottled and fading. And so it is that these houses have been passed over in the otherwise inexorable spread of gentrification in the Venice area. I am complicit, if only as a window shopper, in this fancification that has largely replaced the seedy character of Free Love-era Venice Beach with a wealth typified by bespoke shops doling out luxury coffee, four-figure caparisons, and faux-Dutch bikes, to a newly transplanted demographic that can handily afford them. This observation is intended without any kind of territorial griping; my claims on the neighborhood are thin at best. I was born, in 1981, in one of those bungalows, either at 648 Vernon Ave. or maybe 652, but we moved East in 1983. Of those first two years, I have only a pair of (interrelated) memories: first, that the walls may have been a pale yellow; and second, that I had a fever at some point and in its subtropical grip I looked out through the white slats of my crib with burning eyes and beheld those yellow walls, and that’s what I remember. Though on its surface The Ambassador is a piece about Los Angeles through the lens of film, fiction, and architecture, I think it’s actually a piece about memory, and how memory dances infinitely with physical space. From what I can surmise, Los Angeles started to have a sense of its own history, of collective memory, in the early aughts, around the time of the preservation battle over the Ambassador Hotel, a three-way affair that pitted the LA Unified School District and the Kennedy Family against the L.A. Conservancy. Though the campaign to preserve the hotel failed, and in its place an architecturally vacuous complex of schools (admittedly serving a community much in need) built— about which Christopher Hawthorne has written incisively and eloquently—the process of trying to save the hotel nevertheless reified in many Angelenos a sense of pride in history. But long before Diane Keaton spoke at the wake for the Ambassador Hotel, there was a trove of cultural artifacts that served, consciously or not, as a historical record of the city. I’m thinking now of the novels of Joan Didion and Nathanael West and James M. Cain, the films of Howard Hawks and Michael Mann and William Friedkin, the criticism of Esther McCoy and Reyner Banham and Mike Davis, and the houses—oh the houses— of Rudolph Schindler and John Lautner and Lloyd Wright. It’s this archive that was my way into making The Ambassador, which as a body of work is more a reflection of what interested me instinctively than an attempt to be comprehensive vis a vis Los Angeles. For how can one map an unmappable city? To paraphrase Christopher Hawthorne, L.A. is not great at sitting still for portraits. There is one portrait of Los Angeles that became familiar to me as I worked on The Ambassador, much of which was written in a postage-stamp of a studio apartment perched at the southern end of Griffith Park, an apartment whose original function was as the servant’s quarters of the connected house that Rudolph Schindler remodeled in the early 1920’s. There’s a door on the eastern side of the studio that opens onto a small wooden roof deck, canted nails jutting up and out threateningly. (During one visit, I ended up sitting in the pharmacy at the creepy Walgreen’s at Sunset and Western, waiting to get a tetanus shot before driving home rattled in that singular way one does under the combined influence of foreign chemicals and native adrenaline, one of the nails having had its way with the heel of my left foot.) Stepping outside, if I turn to face south on this little parallelogram of decklet high above the city, it’s all hypnotic views of the L.A. basin. Nights: coyotes skirling just beyond the window, their cries sharp and dry and anechoic, an uneasy counterpoint to the silent play of hundreds of thousands of lights throbbing in the basin below. Mornings: steam rising off of coffee to meet the fog; the ritual of assessing air quality by visibility— can you see Palos Verdes? Thom Andersen, in his film Los Angeles Plays Itself, says early on that L.A., as a city, is not photogenic, that its edges are blurry, smudged, imprecise. (Another way of articulating Hawthorne’s quip about Los Angeles not taking to portraiture.) That may well be the case, but through human eyes—or at least through my eyes— to behold the city at dawn before the fog has burned off, and to read it as a quick pastel sketch of a metropolis on the brink of bustling activity, commands great emotional precision, even if the image isn’t in focus. And that emotional precision was the thing I wanted to capture in The Ambassador. For as I began to visit Los Angeles more often in my late twenties and early thirties, there was an accretion to the emotional weight of the city. Driving through East Hollywood, Inglewood, Westchester, Marina Del Rey. Walking Vermont Ave. in Koreatown, chatting up the proprietor of a piano shop that seems as uncomfortable in its skin as its owner; she’s still rattled twenty-some-odd years later. The pilgrimage to the San Gabriel Valley for soup dumplings at Din Tai Fung and the reluctant camaraderie that accompanies the lines that stand between you and xiao long bao. Or this: standing under a gunmetal grey sky and gaping at the modest majesty of the Watts Towers and the improbable fact of one man’s vision and persistence. I wanted to know why the city made me feel so much. Bringing The Ambassador back to Los Angeles is terrifying. I want to do right by the city that I abandoned so soon after it bore me. I want those who might be prone to reflexive defense of their city to know that if there’s tough love in the piece, it is the object and not the modifier that’s key. But ultimately, I cannot and should not offer preemptive defenses— all I have is to invite you to join me at the Freud Playhouse on February 27 and 28, and to have a look for yourself. The Body is Beautiful. Get Used to It. It’s a sort of rallying cry that we have applied specifically to enhance and encompass this year’s dance performances. But, when you sit with it for a minute it’s also a unifying sentiment that can be applied to life in general. And this sentiment kept cropping up in my mind again and again as we interacted with the artists and artistry of Batsheva Dance Company. Our first dance performances of the weekend centered around this extraordinary group of artists as they celebrated 50 years in existence. For much of that time (since 1990) Ohad Naharin has been the artistic director and many times over the course of multiple interactions with students and audiences while Batsheva was in residence with us, he made me think about that phrase. As I listened to him speak and encountered his work and the artists he works with, it was clear that Ohad essentially embodies the aforementioned rallying cry. At every opportunity, Ohad talked about why there are no mirrors in the studios or rehearsal rooms in Batsheva’s home complex in Tel Aviv, and why the company covers up mirrors wherever they travel. 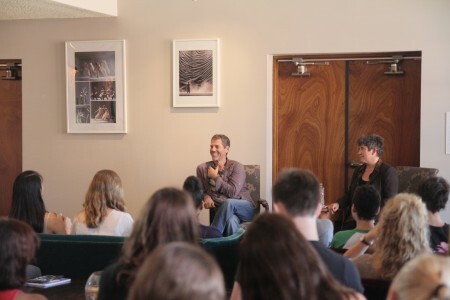 Mirrors are great for some things, Ohad said, speaking to a room of UCLA World Arts and Cultures students, they’re essentially important for your dentist to use for example, he said with a chuckle. But they serve no purpose for dance, he said. He trains his dancers to develop a powerful perception and ownership of their own bodies in space and time, and instead of checking their form in a mirror, they instead are seeing their fellow dancers more wholly. 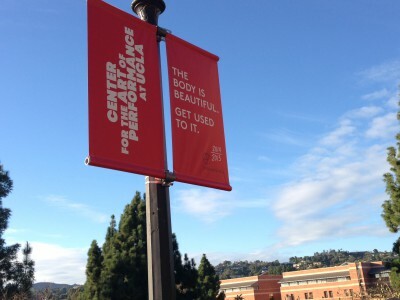 A few days later, speaking to the crowd who would soon be viewing Sadeh21 in Royce Hall and who had just experienced a new work from former Batsheva dancer and now L.A.-based choreographer/performer Danielle Agami, he reiterated this statement, even more strongly. 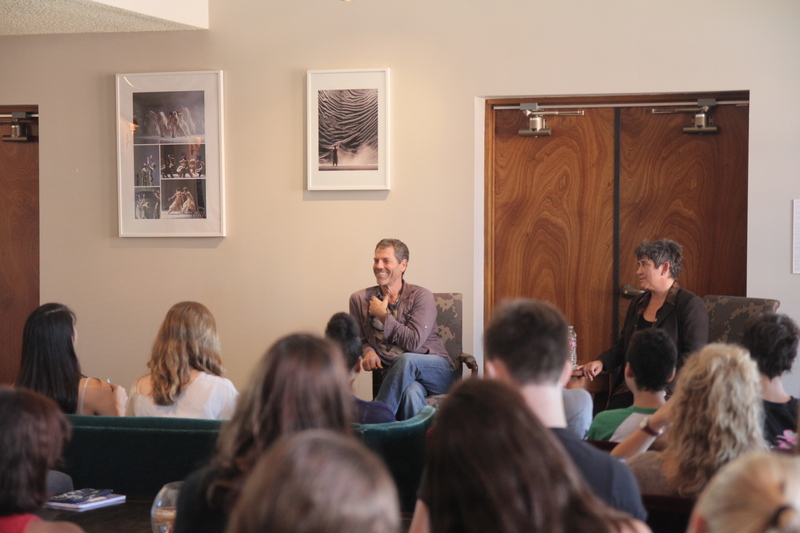 Ohad also responded to a question from a student about what kind of “body style” he looks for in dancers. This elicited applause, in the form of students snapping their fingers, which piqued Ohad. “Why did you do that? Why do you snap your fingers?” he asked, genuinely curious. “It means we’re agreeing with you, ” one student replied. Ohad then revealed that he asks that students or participants do not clap at the end of a Gaga class, instead, if they’re feeling inclined to celebrate the moment with sound he has them snap their fingers. Gaga, the incredibly free and freeing movement style that Ohad developed as a training tool for dancers and which he has subsequently extended to invite participants from every walk of life all over the world. 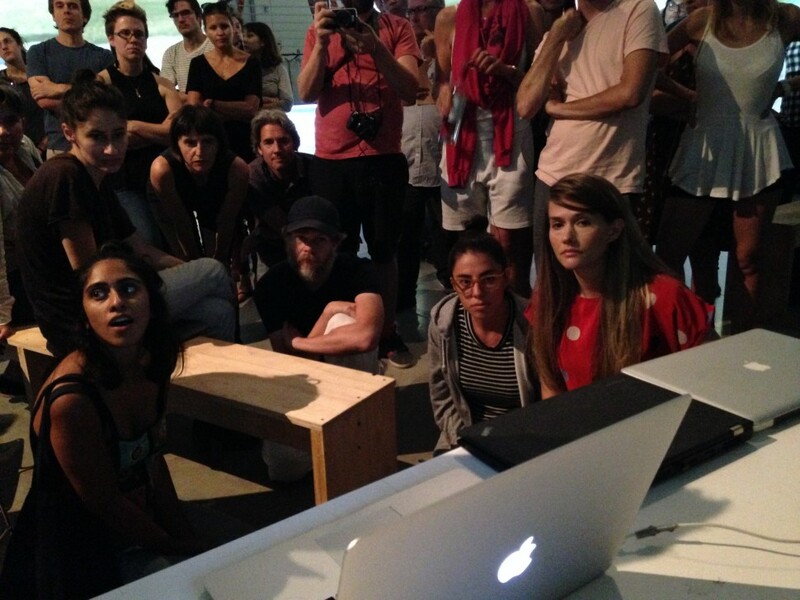 No one is allowed to passively watch or photograph a Gaga session. If you want to be there, you must participate. As I looked around the room of strangers, some dancers, some not, some performers, some not, I feel like we were all embodying that rallying cry. Several of the dancers from the aforementioned Ate9 Dance Company were part of that session. It was interesting to move among them in this way, after being a silent observer of their craft and skill the night before on the Royce Terrace. 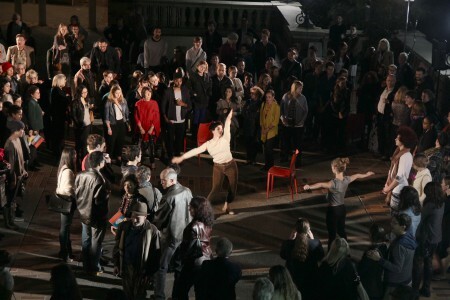 Sometimes wild and frenetic, other times ruminative, other times sharply punctuated, other times chattering non sequiters, or simply picking up chairs and handing them to unsuspecting watchers Danielle Agami’s dancers moved through the crowd. We moved with them, as a sort of serpentine organism seeking to turn its head toward the light. It was a really special moment. The Batsheva dancers, just before they were about to take the stage themselves, perched atop a brick structure on the terrace, watching the dancers shapes and movement continually shape and re-shape the audience itself. 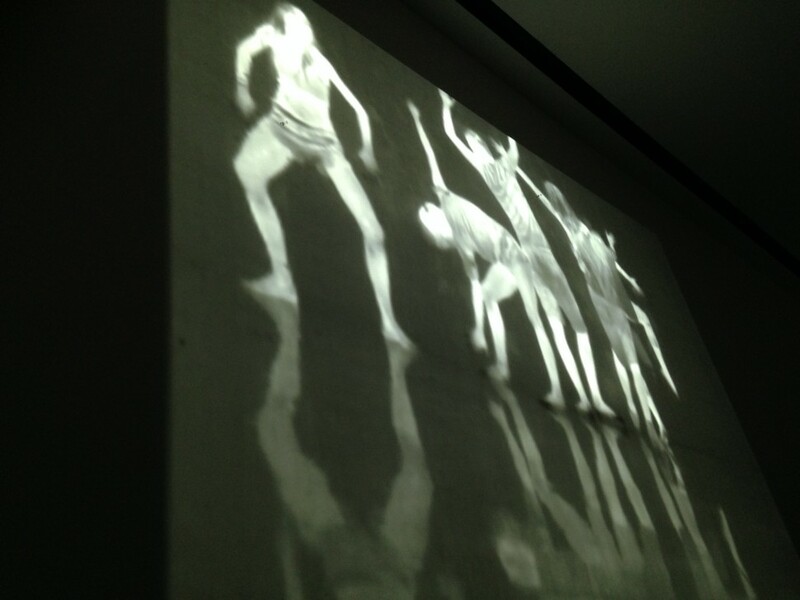 Other people have spoken more eloquently about the Batsheva performance of Sadeh21 itself. It left me personally very moved and feeling like, this company, this moment in time, this expeirence was the perfect way to set the tone for our sentiment about dance and the body. We’ll be exploring this concept and more throughout the season as we begin work with the incredible Deborah Hay, on a project titled “Re-writing the language of dance.” With Deborah’s help we will work across broad artistic and community territories to explore the Los Angeles dance ecology and develop strategies for increased involvement and synergy. All of this begins in two weeks, with a special event titled “Reorganizing Ourselves,” a conversation in three parts about perception, consciousness and the connection between art and science with Deborah, Berkeley professor of philosophy Alva Noe and dance curator dance curator Michèle Steinwald. We’re curious and excited to see what reveals itself as we reach out more cohesively than ever before to our local dance community. We want to know what people are thinking about the body, what role movement and art as exhibited bodies in motion is playing in our immediate arts culture, and how we can harness the potential of contemporary dance to push our culture ever forward. The body, is in fact beautiful. The sooner we all get used to it, and perhaps revel in it, and support those who celebrate it…the better.